People get involved in numerous pre-wedding plans. Shopping for clothes, jewellery, accessories coupled with buying of wedding ring and wedding band for the bride and groom are essential pre-wedding customs. In the present scenario, the marketplace is snowed with dazzling wedding bands that are present in startling designs and classic metals. Wedding rings are made of gold, platinum, titanium and silver. Designer wedding rings are the most recent preference of people. Designer companies like GN Jewellers exclusively design men’s wedding rings and deliver a variety of brands for individuals to pick from. Men’s designer wedding rings includes immortal styles and patterns that are elegant and exclusive. Designer wedding rings or bands are made of platinum, white gold or silver. Platinum is said to be the most preferred metal for men’s designer wedding rings. It is more resilient than gold and most men favor it for a wedding ring. While, it is essentially more expensive than gold and is more or less double the price of an 18-ct white gold band. Platinum delivers an amazing setting for diamonds but is evenly pleasing to the eye alone. Even white diamonds are used for men’s wedding rings and are graded on an alphabetical scale starting from D. The slighter the color in a diamond, the more it’s in value. D color diamond is more precious as it is extraordinary and monochrome. Extravagant diamonds are available in a variety of colors like canary yellow, blue, black, green and red. GN Jewellers offer platinum designer men’s wedding rings that are hand crafted and carved. Though they are known for their delicate nature yet are stunningly beautiful. The bands are a true mélange of modern design and also display old world beauty. In general, men’s designer wedding rings are expensive but are available on discounted rates during wedding seasons. They exhibit a quiet elegance, which is classic in design and deliver a lifetime of beauty.  GN Designer Jewellers provides detailed information on Men’s Comfort Fit Wedding bands, Men’s Diamond Wedding Rings, Men’s Gold Wedding Bands, Men’s Platinum Wedding Rings and much more.